This is the wiring. I know it looks messy, but I just want it to work once. If it does I will make a final precise model. This is the SMA adapter. Remove any potential short circuits and you should be good to go! Ok. 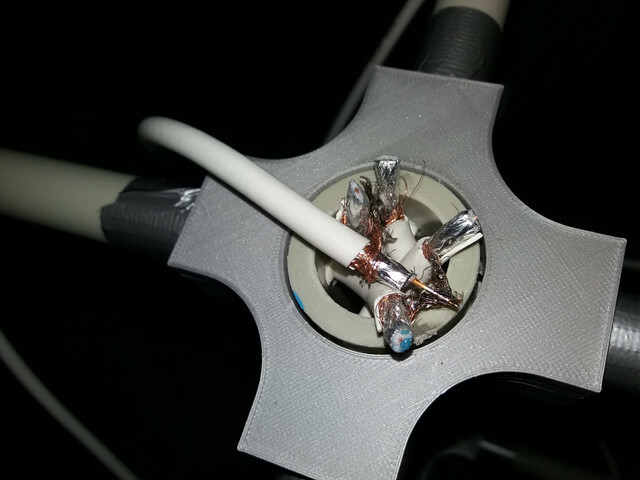 I resoldered everything, peeling back the insulation of the cables and making sure there are no shorts. The signal is a bit better, but still far from good. Best SNR 24 with the satellite directly over my head. I'm surprised. I once went on the web, found the instructions and the measures, and I built a similar antenna to track satellites with just a iron wire to hang the wash and it worked perfectly from the start. Did some pictures for you from this evening's Noaa-18 Pass. pull in other close-by signals. Try to set the FFT screen to 50 or 60 and adjust the gain to suit. The key to this is SNR (Signal to Noise Ratio). If you are getting Horizon to Horizon e.g. 14 to 15 minutes for an overhead pass you are doing OK.
You may be getting de-sensing from strong FM Transmitters close to you. 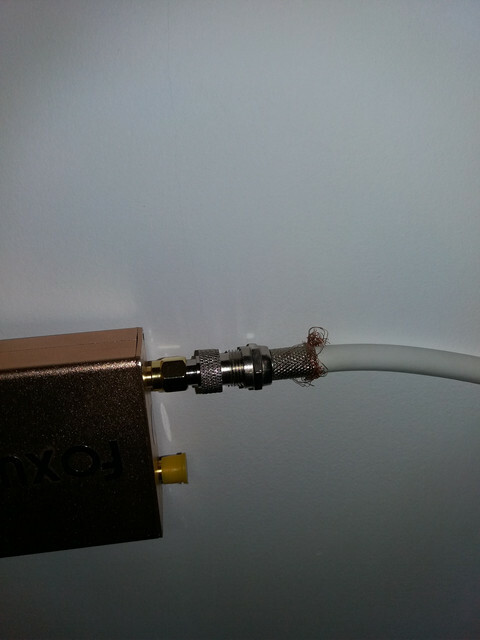 Try an FM blocking Filter in the Co-ax line before the Dongle. Problems this end are with Pagers, see picture. 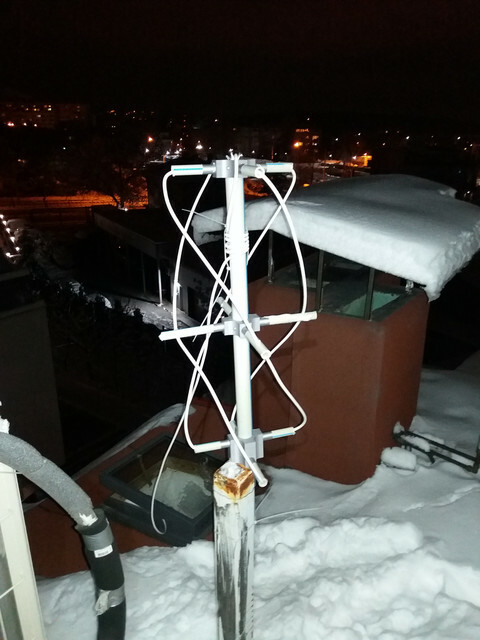 Test for you this evening with just a Quarter-wave vertical, V3 Dongle + RTL FM Blocking Filter. Thank you guys. Your support is great. I am out of home for the next week. Once I am back I will do another attempt.